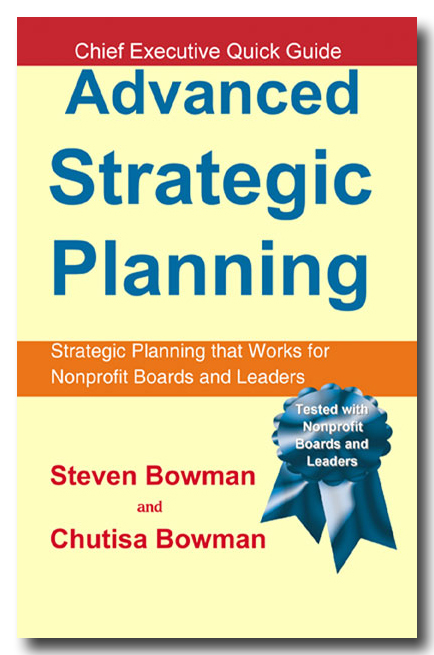 Buy and Download > Description New Quick Guide: "Advanced Strategic Planning: Strategic Planning that works for Nonprofit Boards and Leaders". 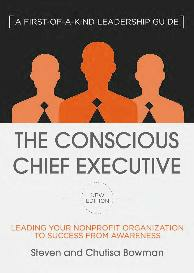 6o pages of thought provoking strategies and templates that will facilitate strategic planning within your nonprofit organization. All nonprofit organizations have unlimited potential and possibility to become successful and thriving if they have conscious leaders who understand risk and how to use it and manage it. Higher levels of conscious choice and intensity of awareness are the keys to creating a balanced integration of organization vision, strategy, risk and operational realities. Let go of what you thought risk was, and embrace this new, innovative view of risk that embeds strategy, innovation and risk throughout the organization in a way that is easy and quick. This methodology for strategic planning has been tested with nonprofit Boards and leadership teams throughout the world, and has been described by nonprofit CEOs as the most comprehensive yet easy process they have found. 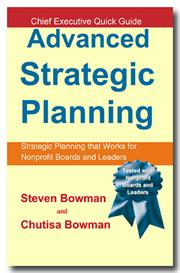 New Quick Guide: "Advanced Strategic Planning: Strategic Planning that works for Nonprofit Boards and Leaders". 6o pages of thought provoking strategies and templates that will facilitate strategic planning within your nonprofit organization.